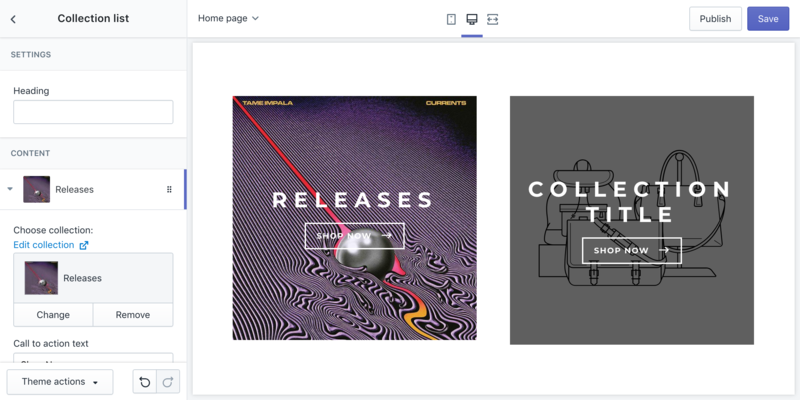 Show collections on the homepage. Choose collections to display. The layout will automatically adapt to the number of collections chosen.